When Tom and I were in Natchez Mississippi earlier this summer, we learned the legend around the red front door. Many fine southern homes have them and I always loved them as a statement. In fact, I always secretly wanted one. On a tour of one of Natchez’s grand antebellum homes, we learned that back when these historic homes were built, the red door signified that a major milestone had been hit. The homeowners would paint their front doors red when they paid off their mortgages. I guess it was a way to show off to everyone in the neighborhood. 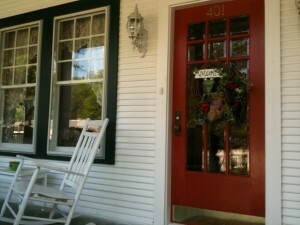 So when we decided to repaint this old house, I absolutely had to have a red door. 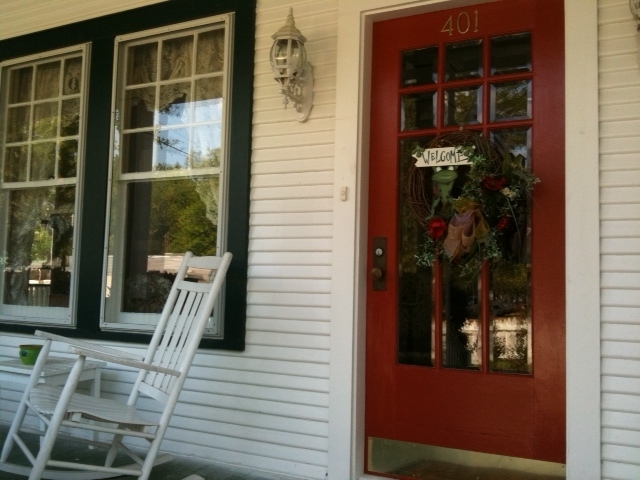 Certainly we have not paid off our mortgage but, I love the history behind the red door. I think it adds a little flair to the house that it did not have before. This entry was posted on Wednesday, August 31st, 2011 at 9:29 pm and is filed under Bed and Breakfast, Jefferson Texas, lodging, The Carriage House Bed and Breakfast. You can follow any responses to this entry through the RSS 2.0 feed. Both comments and pings are currently closed.